Eric C. submitted this photo and caption. 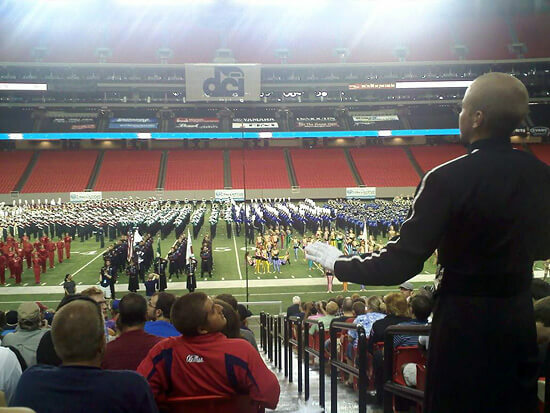 I took this picture July 31 (from my cell phone) of the Blue Devils drum major getting ready to start "Battle Hymn" during the finale to the DCI event at the Georgia Dome. Having marched with Carolina Crown during the late '90s we had retreat block after each show. It was nice to see the full retreat make a comeback of sorts.